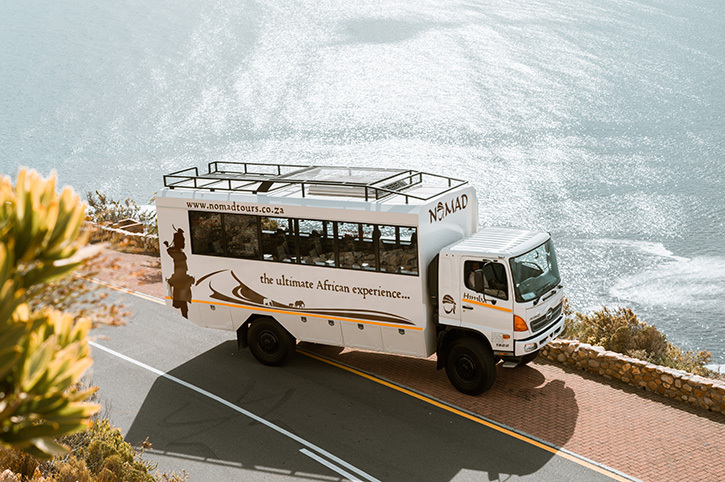 An epic 20-day small group adventure, travelling by luxury air-conditioned safari truck from Cape Town to Victoria Falls. 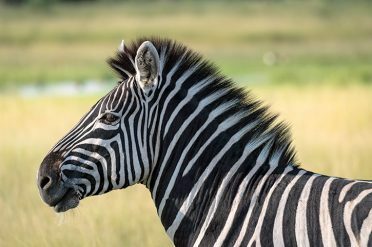 Experience Southern Africa’s world-famous attractions including vibrant Cape Town, the vast Namib Desert, incredible wildlife viewing and the mighty Victoria Falls. Leaving Cape Town this morning we make the last stop for a look back at Table Mountain from across Table Bay. The Cederberg region not only boasts spectacular mountains and orange farms, but it is also the home of the Rooibos bush and today we will visit a working Rooibos tea farm and see the plants of Rooibos and Buchu that occur naturally in the wild. Indigenous to the mountain slopes of the Cederberg, this herbal beverage has earned an international reputation as a healthy and refreshing alternative to regular tea. A dinner at our overnight stop, offers an opportunity for us to get acquainted while enjoying some South African hospitality. Travel through the Namaqualand region which is famous for its wildflower display that turns the desert into a riot of colour between July and September. Continue north and cross over the border into Namibia to arrive at the camp on the banks of the Orange River. The Orange River is the longest in South Africa and offers a unique contrast to the desert landscape and an optional canoe trip is a great way to experience it. Venturing north into the desert a visit is made to the spectacular and stark Fish River Canyon, the deepest in Africa, before an overnight at Ais-Ais where the hot springs are a great spot to indulge in a swim under the desert skies. A brisk climb up Dune 45 offers us the perfect vantage point to marvel at the changing colours of the desert. Once satisfied we descend this famous dune and enjoy a hearty breakfast before catching a 4×4 transfer into Sossusvlei, here we will spend time on foot visiting the pans at Sossusvlei and Deadvlei. Tonight we empty the red sand from our shoes and spend the night under the magnificent desert stars, knowing that we have spent a full day enjoying the wonders of this harsh land. Today we continue west and make our way to the coastal town of Swakopmund, where adventure and a dose of civilisation await. Our day in the desert ends as we join a local expert for an educational desert excursion before making our way across the Tropic of Capricorn and to the Atlantic coast. We make a brief stop at the Walvis Bay lagoon, hoping to catch a glimpse of the flamingo’s that feed in the shallows. On arriving in Swakopmund we have the opportunity to book some of the many adventures on offer. Rising early you will head to Etosha National Park where some of the most unique game viewing in Africa takes place. The rest of the day is used to explore the edges of Etosha Pan in search of the abundant wildlife from the elevated position of the safari truck. In the evenings spend time at the floodlit waterhole of the camp which is a major draw for a variety of wildlife. The second day in Etosha is used to further explore the park giving additional opportunities to see some of the magnificent wildlife which includes rhino, elephant and lion. A final game drive this morning as you head towards the gate on the way to Windhoek, the capital city of Namibia. There is a short walking tour of some of the city landmarks. Travel east today towards neighbouring Botswana and the Kalahari Desert. The San people have long been associated with this harsh environment and tonight you will enjoy a dance evening that provides an insight into their culture of song, dance and story-telling. Before departing Ghanzi we will enjoy an informative guided walk with the San community where you will learn about their culture and their interaction with their desert environment. After our walk, we head towards Maun. This evening our guide will prepare us on what to expect on our full day excursion into the Okavango Delta. The most rewarding and enjoyable way to explore and experience the beauty and serenity of this intricate system of lily-covered channels and lagoons is by mokoro. Heading out early, we will be transferred by safari vehicle to the poling station (approximately 1 hour transfer) where we will meet the polers who will be escorting us into the Delta. The polers will steer us through the serene area of narrow, reed-lined channels which open out onto beautiful lagoons. Reaching one of the many islands, a nature walk may be taken with your poler. After the walk, we return by mokoro through the channels back to the mooring station. While the mokoro trail is not primarily a game viewing activity, a variety of game may be spotted in this pristine wilderness area including elephant, giraffe, kudu, impala and zebra. Travel across the northern reaches of the Makgadikgadi Pans, if you are lucky you may encounter some of the wildlife that roams this vast protected area. An early start to continue north to your camp on the banks of the Chobe River. This afternoon is set aside for exploring the Chobe National Park allowing you an up close and personal experience with the many elephants that frequent the river in the afternoons. The afternoon ends with a leisurely boat cruise and a meal served around the campfire. Today cross the border into Zimbabwe where you will enjoy a visit to the spectacular Victoria Falls, also known by the local name of “Mosi-oa Tunya” (the smoke that thunders). 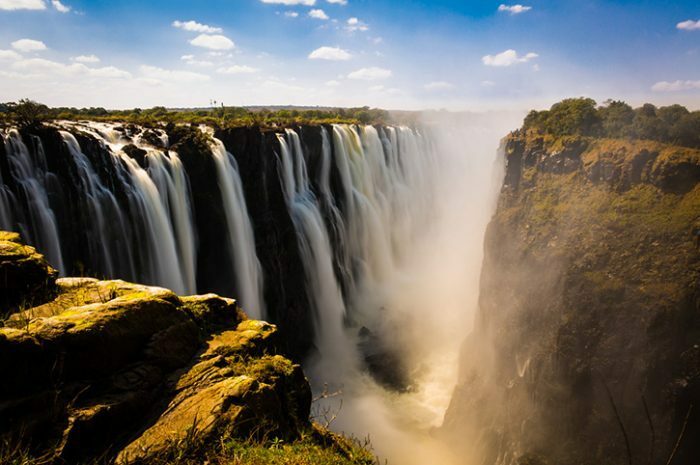 While much of today is dedicated to viewing the mighty Zambezi River as it drops into the Batoka Gorge below, the town of Victoria Falls also offers a range of optional activities, craft markets and coffee shops. With many activities on offer in Victoria Falls, today is the perfect day for the adventure that most suits your style. Whether rafting the mighty Zambezi River or enjoying a flight over the Falls, this is your day to enjoy the many attractions on offer in Victoria Falls. Enjoy the time you have before heading off to the airport for your flight home or onward to other arrangements. Enjoy two nights in the Okavango Delta at a beautiful lodge from £1379. Experience some of the fantastic wildlife found in the Okavango Delta and enjoy scenic flights from Maun. This optional upgrade departs Day 15 of the tour. On Day 17 you will rejoin the group in Maun and continue on the tour. Includes accommodation, breakfast, dinner, transfers and scenic flights. Ask your consultant for more details. Prices are per person and include all travel, accommodation, most meals, activity pack and an experienced local guide. Accommodation specified is subject to availability and may be substituted to a similar or higher standard if necessary. Please note luggage restriction of 20kg.